REQUEST A CALL or Call 877-704-7285 Now! and keep it 100% safe. What Are the Essential Questions You Have to Ask Before Entering Into Alcohol or Drug Rehab? If you go online seeking drug or alcohol rehabilitation, you will find that there is no shortage of recovery centers available. However, it may be too much for one person to handle, trying to struggle with the issues of dependence and attempting to make that transition into sobriety. In order to have the best possible chance for success, it is important to find a drug rehab program that suits your individual needs. If you are feeling overwhelmed at the prospect of finding help, whether it be for yourself or someone else, it is a good thing that you can rely on unbiased advice from professionals who have helped countless other people before. That is not to say that you need help from others. Most people are perfectly capable of finding out much of the required information themselves. However, when you feel that time is of the essence when it comes to finding drug rehabilitation, you will start to realize that sifting through hundreds of different options can cause great anxiety and even despair and is not how you would like to spend your time. Many people are unable to distinguish a successful program from an unsuccessful program as it is extremely difficult to tell by just talking to a center or viewing their website. After careful deliberation and listening to your exact situation, it should become clear that certain recovery programs are a better fit than others are. If you want help throughout this step, our counselors can help you. These are some of the basic steps that they will walk you through on the phone. Reading them here first will allow most patients to have a chance to think them through themselves. What substance is the root of the drug addiction? – No matter what other important steps you have to consider, this should always be the primary question. You cannot begin to solve a problem without first defining it. There are very different treatment options available for a number of illicit substances on the market. For example, an outpatient drug rehab facility may be enough for a patient determined to rid him- or herself from a marijuana dependency. However, unless a medical professional is nearby, alcohol withdrawal could potentially be fatal because of autonomic hyperactivity. This leads to an increased body temperature, breathing rate, heart rate and blood pressure. This could lead to a possible heart attack, cardiovascular collapse, stroke, and cardiac arrhythmias. There are other substances that have withdrawal symptoms that would be dangerous without the proper medical supervision. What is the length of stay? – When making a decision, this is a part of recovery people overlook quite often. We have become accustomed to having things fast, we live in the age of fast food, movies-on-demand, and we want results instantly. However, there have been countless studies to suggest that faster is certainly not better when it comes to drug rehab. Many of the long-term programs have better percentages than the short-term programs. No one is going to suggest that longer recovery options are not without their problems, they cost more and you are away from friends, family and possibly your job. However, the truth is that rehabilitation is not something that should follow the path of least resistance; it is something that we need to do right. Does it offer multiple solutions? 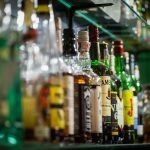 – There are a number of predictable and identifiable stages that most patients have to go through on the road to sobriety. This allows the recovery facility to have specific guidelines for their treatment options. However, what happens if the patient is not moving through the steps fast enough, what happens if they move faster than expected? Can the rehabilitation center offer different options that are related to the patient rather than what they believe is right? Patients often have a better chance at recovery with programs that do offer more than one program and remain flexible during treatment. Has this person attended rehab before? – Remember that a previously failed stint in a rehabilitation program does NOT mean that future efforts will be futile. There can be countless reasons why it just did not work last time, was the treatment not what they were expecting? Did they not apply what they learned once they left the facility, or were they simply not ready to make the necessary changes? Self-evaluation and honesty is an important factor here. What was the reason it did not work? Does it offer relapse prevention? – Some people believe in the Hollywood view of rehabilitation. They walk out the door of the program, have someone shut it behind them and the problem is gone for good. That is not how long-term sobriety works. Relapse prevention should play an important part in any program, what help is available once the patient leaves? It is possible for someone to struggle with sobriety and possibly even stumble. However, the important question is whether there is someone available that can help him or her get back up? Prior research suggests that long-term recovery is much more likely to be successful if aftercare programs are in place. How do you define success? – If you have a program that does not have a successful detoxification program, chances are that it is not the right place to have long-term results. If you are looking for lasting sobriety, it is important to find a facility that matches your wants and needs. Why settle for a program that does not or cannot provide you with what you are looking for? How many people succeed? – Another important question, what is the actual success rate of a drug rehab program? How many people that enroll here, meet that actual goal? Do many people here attain lasting sobriety or do most patients walk in and out without lasting results. These are important factors to consider before you enroll somewhere. How much does it cost? – Unfortunately, costs are oftentimes associated with drug recovery programs. As a nation, we spend far more money on punishing those who abuse illicit substances than we do on helping them. If you have an insurance provider, ask them beforehand whether the program you are interested in is covered, ask them how much they are willing to contribute to the overall cost of the program. If you do not have insurance available, will you need to enroll in a payment plan? Perhaps you need to take out a long-term loan to pay for recovery. It is natural to feel overwhelmed by that many questions. The amount of options may seem staggering. 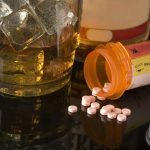 With so many options, it is probably even more frustrating to realize that drug rehab treatment should be undergone as quickly as possible, because the chances of long-term success become a little less with each wasted day. If you have any further questions or want help with the next step, give us a call and we will gladly help.